This combination is mostly about attraction. Leo will also help more on finances. The Moon and the Sun announce that this relationship will make your life very interesting and eventful. There are enough differences to create a healthy curiosity. 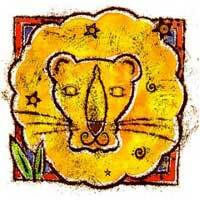 Leo affects that part of your life that is related to income, money and personal possessions. You broaden your horizons and you have an interest in obtaining the best in life. Leo can be stubborn, and you, a protector. The relationship does not flow without problems, there are obstacles; it might be necessary to take on the role of the responsive one, and let Leo be the dominant one. That does not mean that you must let yourself be dominated, but you probably will have to give up for the relationship to last. Leo is fascinated by you, but will create a sense of security mixed with fear. You feel that Leo can provide everything you need and will lead to something better. Social life will improve alongside Leo. The key word is expansion. Do not stand in one place, travel, study, write. Leo needs assessment, and you want security, you can successfully combine these things, because you are both mature and sincere. You rarely find yourselves in one place for a long time. Questions are asked and answers required. 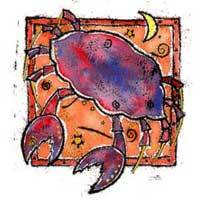 You tend to see Leo as an opportunity to express your inventive qualities. Your love might materialize in children. If you want to play games with someone's feelings, you better find somebody else. Along with Leo you will be incurably in love.